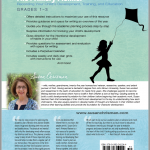 The Primary Planner guides home educators through the process of intentionally planning for the growth of the whole child— body, soul, and spirit. 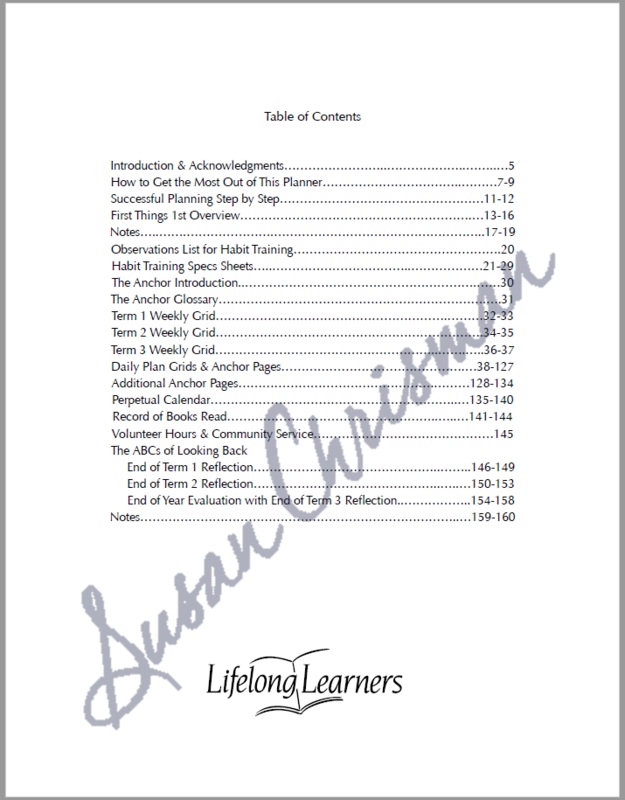 Two pages guide you through an overview of your homeschool year with extra pages for additional notes, habit training, and a glossary of terms. 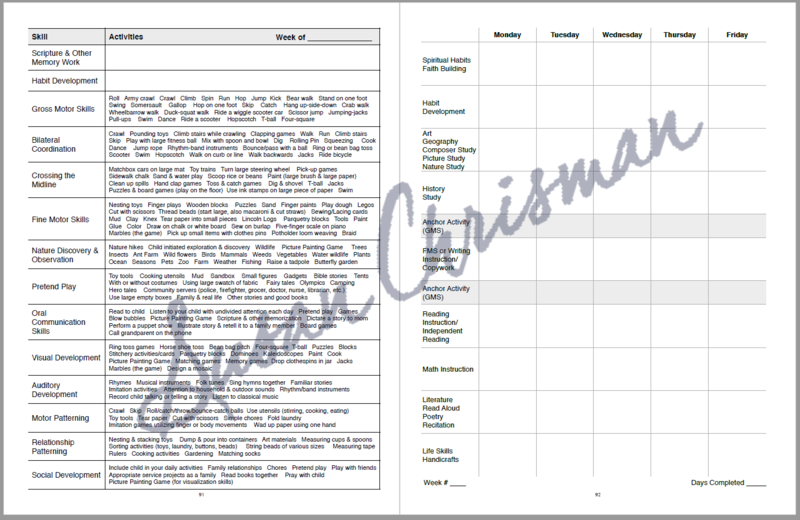 Next, there is a weekly grid which provides the space to estimate what your child will complete each week in each subject. The year is divided into three twelve-week terms with six weeks per page. There are forty-five weeks worth of pages for writing details of what is to be completed each day. 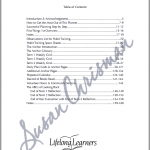 Monday through Friday form columns across the top of the page with different subjects such as faith building, writing instruction, reading, and life skills listed along the side. Six pages comprise a perpetual calendar, allowing you to customize the dates for your school year. Several pages are included for book lists as well as volunteer hours and community service. End of term evaluation questions help you reflect on successes and plan for any needed course corrections. 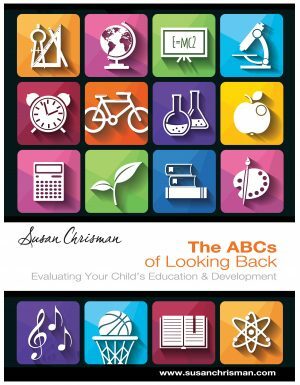 NOTE: This planner includes The ABCs of Looking Back—Evaluating Your Child’s Education & Development and The Anchor. 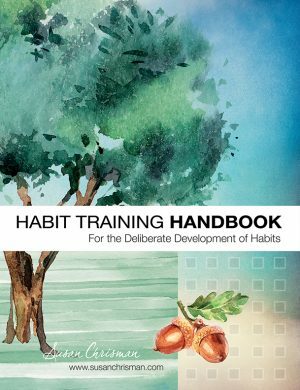 The step-by-step process for planning the academic year offered in this planner breaks down a huge and daunting task into concise and doable pieces. The physical and mental skills vital for developing minds often escape my attention and focus. 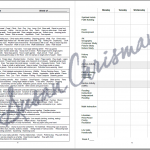 This planner provides a way to keep track of those important activities and helps to make them a regular part of our homeschool. The questions in the Term Reflections and Year-End Evaluation sections are the prompts I need to thoroughly process the spiritual, mental, and emotional aspects of our education. They are invaluable to help me see what things are working and what things need to be changed to be more effective. 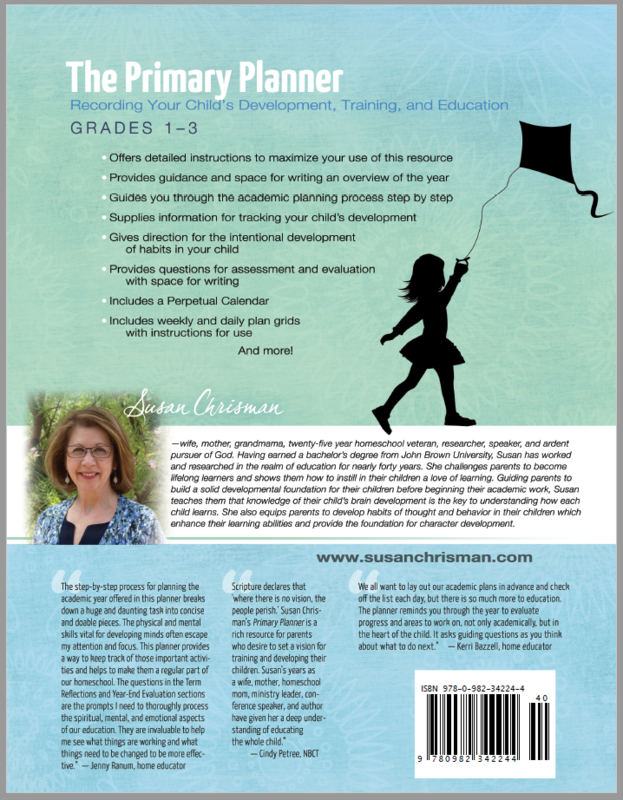 Scripture declares that “where there is no vision, the people perish.” Susan Chrisman’s Primary Planner is a rich resource for parents who desire to set a vision for training and developing their children. 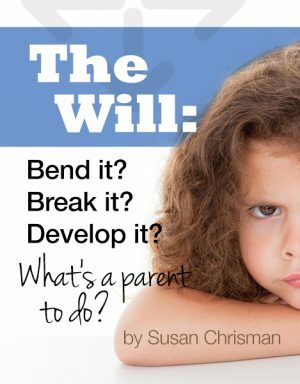 Susan’s years as a wife, mother, homeschool mom, ministry leader, conference speaker, and author have given her a deep understanding of educating the whole child. We all want to lay out our academic plans in advance and check off the list each day, but there is so much more to education. 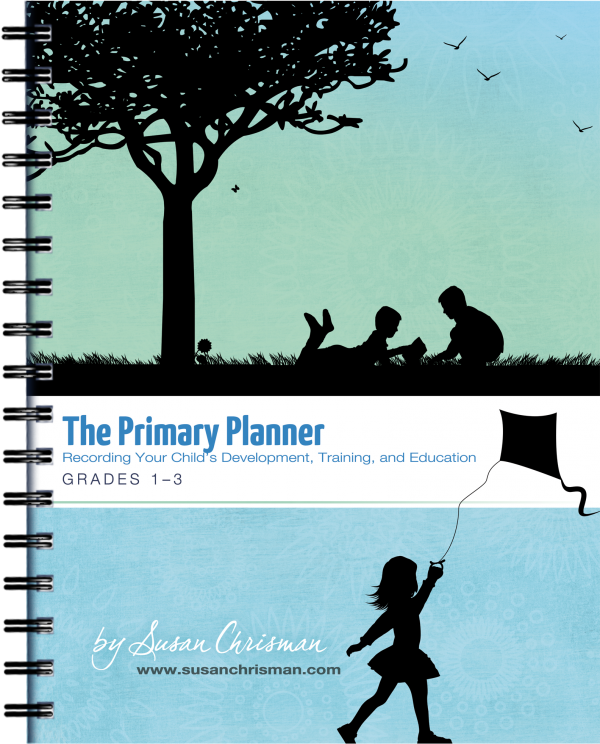 The planner reminds you through the year to evaluate progress and areas to work on, not only academically, but in the heart of the child. It asks guiding questions as you think about what to do next. Still have a question? Contact Susan here.